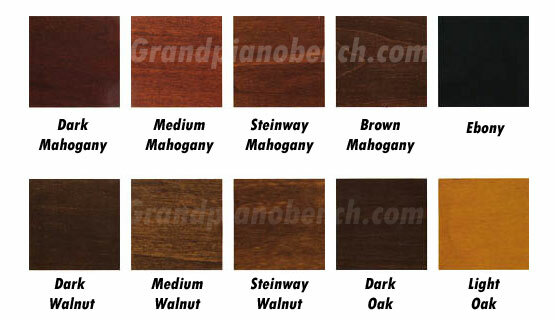 Match your grand piano bench to any grand piano with a beatiful, custom-made upholstered top grand piano bench from GRK Manufacturing in the USA (located in Ohio, with a tradition of making high quality music furniture since 1915). 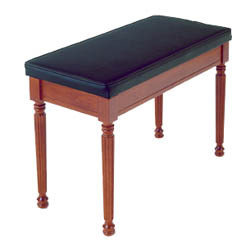 The piano bench is constructed of solid hardwood, and features a full-size music compartment. The upholstered box top is 2" thick with piping around the edges, and uses furniture grade vinyl.